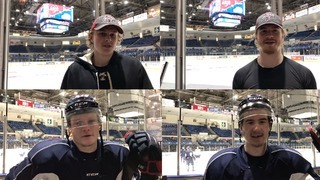 Barrie, ON – Barrie Colts General Manager & Head Scout, Jason Ford announced today that the team has signed forwards Connor LePage, Tyson Foerster, Peter Fleming, Matej Pekar and goaltender Maksim Zhukov. LePage, 16, played last season with the Guelph Hurricanes of the GOJHL. He appeared in 38 games with the Hurricanes collecting six goals and eight assists. The native of Georgetown, Ont. was selected in the fifth round (88th overall) of the 2017 OHL Priority Selection by the Barrie Colts. In his Minor Midget year, LePage and his Toronto Titans team qualified for the OHL Cup where he showed well by scoring two goals and an assist in five games. Also signing is Alliston, Ont. native Tyson Foerster. 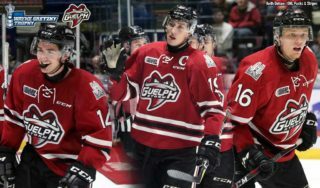 The 16-year-old was drafted in this past OHL Priority Selection by the Colts in the third round (55th overall). Last season Foerster put up big numbers with the Barrie Minor Midget Colts, collecting 20 goals and 41 assists in 34 regular season OMHA ETA games. Foerster also continued his play into the OHL Cup where he tallied five goals and four assists over five games. London Ont. native Peter Fleming played last season with the St. Thomas Stars of the GOJHL. In 49 games with the Stars he recorded 11 goals and 28 assists. The 17-year-old was selected in the sixth round (101st overall) of the 2017 OHL Priority Selection. During the Stars playoff run, Fleming added six more goals and seven assists in his 13 games postseason games. The former London Jr. Knight will be with former Minor Midget teammate Ryan Suzuki on the Colts this season. The Barrie Colts have signed their second round (108th overall) pick from the 2018 CHL Import Draft, Matej Pekar. The 18-year-old from Turnov, Czech Rep. is a Buffalo Sabres fourth round (94th overall) pick in the 2018 NHL Draft. The Czech winger is coming off a stellar season with the Muskegon Lumberjacks of the USHL where he played 56 games and totaled 14 goals and 40 assists, which earned him Rookie of the Year honours. The 2017 USHL Rookie of the Year was Andrei Svechnikov who also played for the Barrie Colts, who then went on to win the 2018 OHL Rookie of the Year. 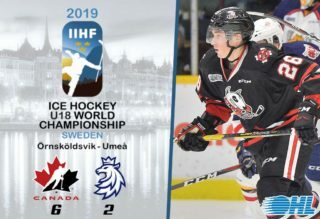 Matej has also represented his country on the International stage a few times, including most recently the Hlinka Gretzky Cup and the U-18 World Junior Championship where he put up five points in seven games. Russian netminder Maksim Zhukov inked a contract with the Colts as well. Barrie’s first round (43rd overall) selection in this past CHL Import Draft played last season in the USHL with the Green Bay Gamblers where he posted a 2.45 goals-against average in 53 games with the club. The 19-year-old was a fourth round (96th overall) pick of the Vegas Golden Knights in the 2017 NHL Draft. 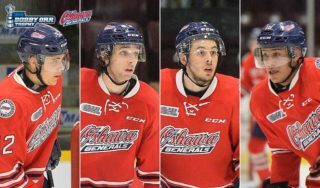 “We are extremely pleased to announce these signings and welcome these young players to the Barrie Colts family,” said General Manager and Head Scout Jason Ford. 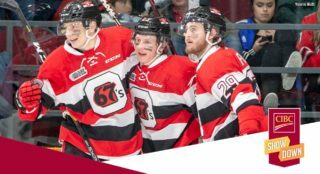 Both Zhukov and Pekar are currently away attending NHL Camps but are expected to return before the beginning of the regular season. As for LePage, Foerster and Fleming, they will all be attending Innisdale Secondary School this year. 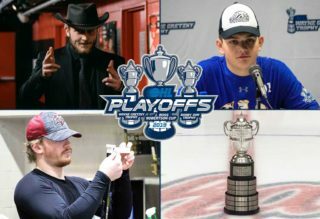 For more information visit barriecolts.com.